Chickpeas – the star ingredient in hummus – are incredibly good for you. High in protein and fiber and more than ten micro nutrients, including a hefty amount of the mineral copper, keeping our hair and skin nice and healthy, this is a great, nutritious snack. Serve it with crunchy veg for dipping, breads ticks or lovely warm flatbreads. 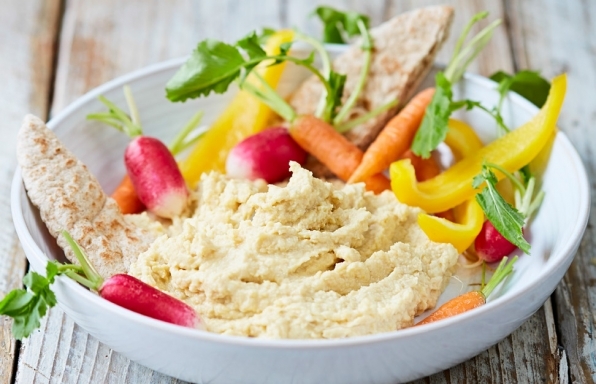 Vary how you serve your hummus: crunchy vegetables like radishes, raw asparagus, cos lettuce, or even apple are all delicious – see what’s in season and experiment. Snacking the right way is super important,and the same goes for how you choose tohydrate yourself. Rather than drinking sugaryfizzy drinks to fill you up, try flavoring water instead. It can be super exciting – try adding fresh strawberries and mint leaves, sliced citrus fruits or refreshing cucumber, and even pomegranate seeds for a fun, tasty and healthy way to stay hydrated. A great way to make sure you’re getting the vitamins and minerals your body needs is to eat the rainbow. 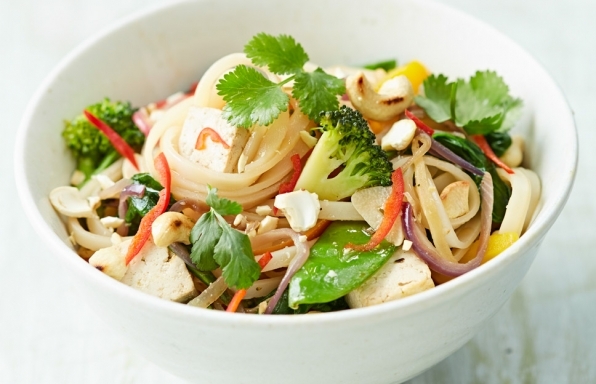 Eating a mixture of different colored vegetables, like in this stir-fry, will help you do that. This dish will give you two of your 5-a-day. Of course, feel free to use whatever vegetables you have in the refrigerator – this is a great dish for using up leftovers too! 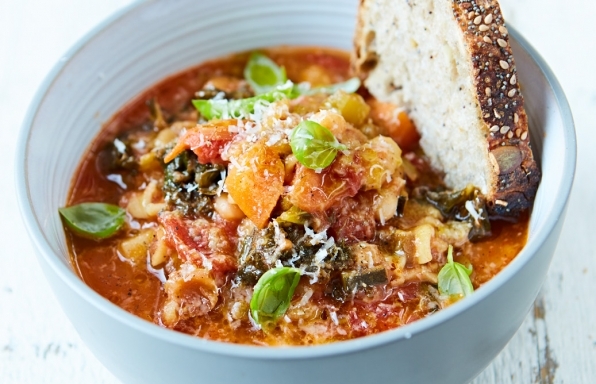 Hearty and nutritious, minestrone soup is a tasty crowd-pleaser and is super easy to tweak according to the vegetables you have in the house. Parmesan is a great seasoning and, when used carefully, it’s a good source of calcium, which we need to maintain strong and healthy bones. 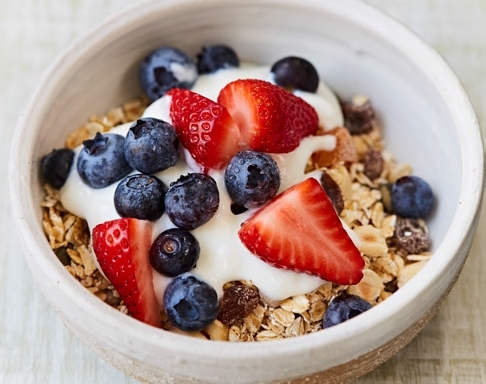 Eating a tasty, nutritious breakfast is a great way to help kick-start your day the best way you can. Make a big batch of healthy cereal, then store it in an airtight container for up to four weeks. I’ve given you two great ways to serve it here, but feel free to come up with your own ideas. This is a fantastic midweek meal. 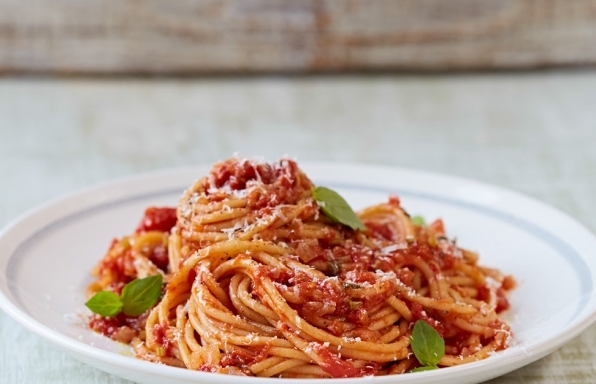 Once you’ve made this a few times you can add other simple ingredients, such as baby spinach, chopped arugula leaves, or fresh or frozen peas, to your basic tomato sauce to completely transform it. It’s important to season the cooking water with salt before you start so that the pasta can absorb it as it cooks. This is a great quick meal at any time of the day. Eggs are a fantastic, affordable source of protein, helping our muscles to grow and repair and helping us to feel fuller for longer. 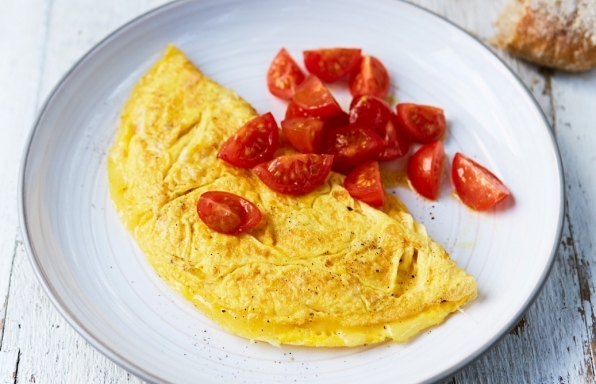 Serve your omelet with whole wheat bread and a simple tomato salad for a healthy, balanced meal. Omelets don’t always need to be folded in half with the filling inside, you can leave the omelet open and sprinkle over your favorite ingredients before finishing it under a hot broiler until it’s bubbling and delicious. A non-stick pan makes cooking an omelet much easier – they’re not too expensive and if you are going to get into making omelets it’s a great investment. If you like a soup that is packed with veggies, that is low in fat and has some of that Southwestern zing to it this is the one for you. You can use fresh or frozen veggies and change it up to match the season. Just toss all the ingredients in a pot and simmer. Garnish with some diced avocado, shredded cheese and crushed tortilla chips. also made in the Caribbean and the South!"